To the four or five other living Baucherists out there who eventually find their way to this hidden treasure: I realize listing Gustav Steinbrecht may seem like sacrilege. So let me say upfront: I do not agree with all of Steinbrecht’s precepts, and I categorically dismiss his essentially second-hand criticisms of Baucher, whose method Steinbrecht – it is safe to presume – understood only through the lens of his master, and Baucher’s most seething German critic, the talented (but angry) Louis Seeger. Louis Seeger was Baucher’s most vocal critic (after D’Aure), and certainly the most overtly critical, if not simply insulting. He personally wrote and distributed a pamphlet warning his fellow Germans of the grave dangers of the dark art of Baucherism, which clearly he either misunderstood or simply refused to consider objectively. Baucher’s name and reputation was somewhat well known across Europe during his time, Seeger’s was not at this time – nor was his pamphlet, apparently, given much notice outside his circle. It is unclear whether it ever came to Baucher’s attention. 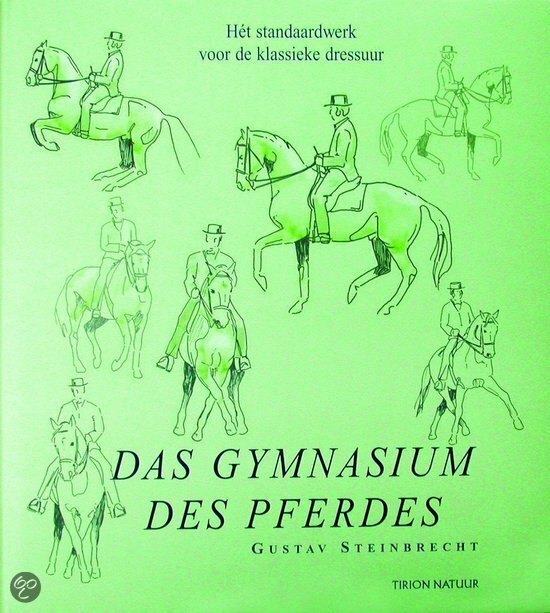 For Seeger, Steinbrecht can be forgiven his departure from otherwise solid reasoning comprising his Gymnasium of the Horse. Steinbrecht does an excellent job of articulating what is technically true with respect high school development. 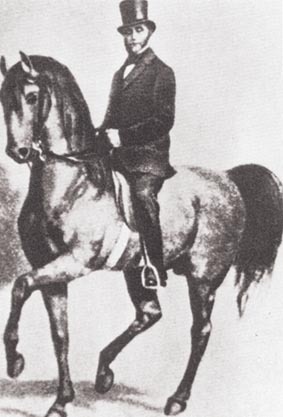 Though his advice bears some of the trademarks of modern German riding – namely, a peculiar obsession with with pushing-type impulsion (a thing which is a thing, but certainly not the thing – in my opinion), and “permeability” (a German concept which, in practice, usually produces a quadrapedal pilates machine), he is equally concerned with balance and conservation of the animal, the artistry required for high equitation. Of particular interest is the fact that he promoted the raising the neck, and developing a higher ramener (a la Baucher). As the late Jean Claude Racinet observed, had the young Steinbrecht ever actually met Baucher, the two would have been fast friends, having little to disagree over in terms of their objectives, and, in many cases, their methods.